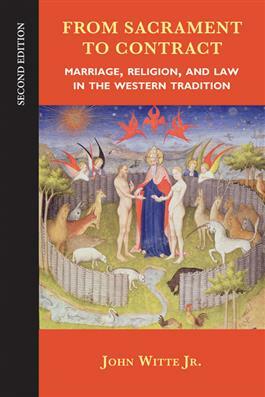 This newly revised and enlarged edition of John Witte's authoritative historical study explores the interplay of law, theology, and marriage in the Western tradition. Witte uncovers the core beliefs that formed the theological genetic code of Western marriage and family law. He explores the systematic models of marriage developed by Catholics, Lutherans, Calvinists, Anglicans, and Enlightenment thinkers, and the transformative influence of each model on Western marriage law. In addition, he traces the millennium-long reduction of marriage from a complex spiritual, social, contractual, and natural institution into a simple private contract with freedom of entrance, exercise, and exit for husband and wife alike. This second edition updates and expands each chapter and the bibliography. It also includes three new chapters on classical, biblical, and patristic sources.